Valentine Cameron Prinsep (1838–1904), The Owl (before 1863), oil on canvas, 77.5 × 54 cm, location not known. Wikimedia Commons. If you were to count the owls in all his paintings, I suspect that Hieronymus Bosch was probably the most owlish major artist of all time. Starting with just one tucked away quietly in his Ecce Homo, one steps almost into the limelight of Saint Jerome at Prayer, while a hidden sibling keeps a watchful eye. By the time of his intricate triptychs, the owls are coming thick and fast. Like so much of Bosch’s imagery, there has been frequent speculation as to what his owls ‘mean’, and how they should be read. This is not helped by the seemingly multiple and contradictory meanings which have been associated with owls. Sometimes they might signify wisdom, other times ignorance; they may bring the comfort of sleep at night, or be harbingers of murder and the occult. In an effort to gain a little more clarity, this article and the next consider some notable examples of owls in painting and print-making, to try to help resolve Bosch’s owls better. Bosch was painting at the time that both the arts and sciences were getting better grips on the differences between the many species of birds (animals, and plants, too). 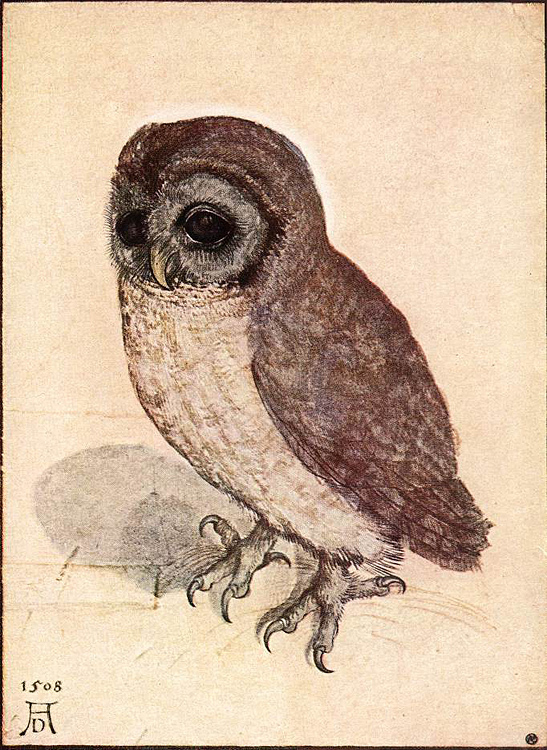 Albrecht Dürer (1471–1528), Little Owl (1508), watercolour, dimensions not known, Albertina, Vienna. Wikimedia Commons. Albrecht Dürer’s delightful watercolour of a Little Owl (1508) may not be what you and I would now call a little owl, but shows the increasing care that was being taken to paint owls and other species more true to life. 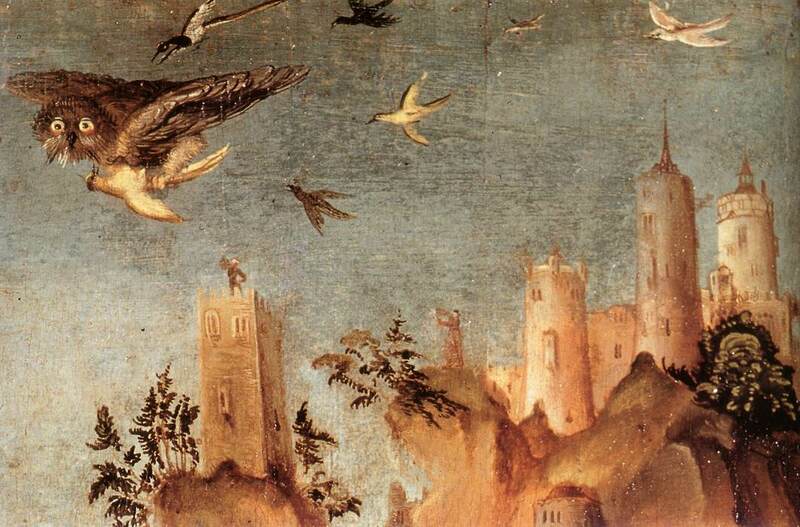 We should not, therefore, sit with a modern bird guide next to Bosch’s paintings and follow modern identification techniques to try to determine exactly what he was representing. Melchior d’Hondecoeter (1636–1695), Concert of the Birds (1670), oil on canvas, 84 x 99 cm, Private collection. Wikimedia Commons. 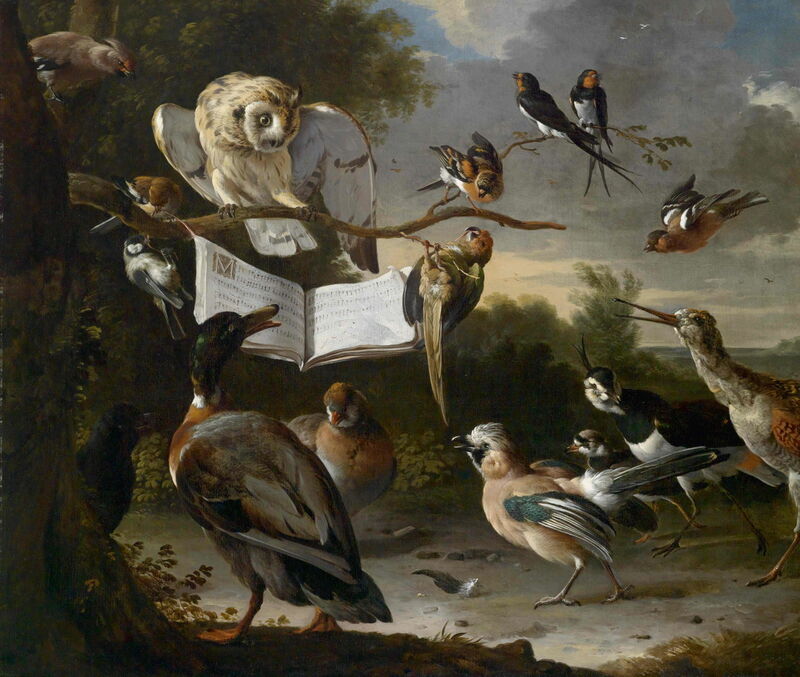 A hundred and fifty years later, though, works such as Melchior d’Hondecoeter’s Concert of the Birds (1670) may be more fanciful, but could also be expected to be more accurate and specific representations. So owls may have been painted simply as another bird, giving some interest and variation to the fauna of a painting. 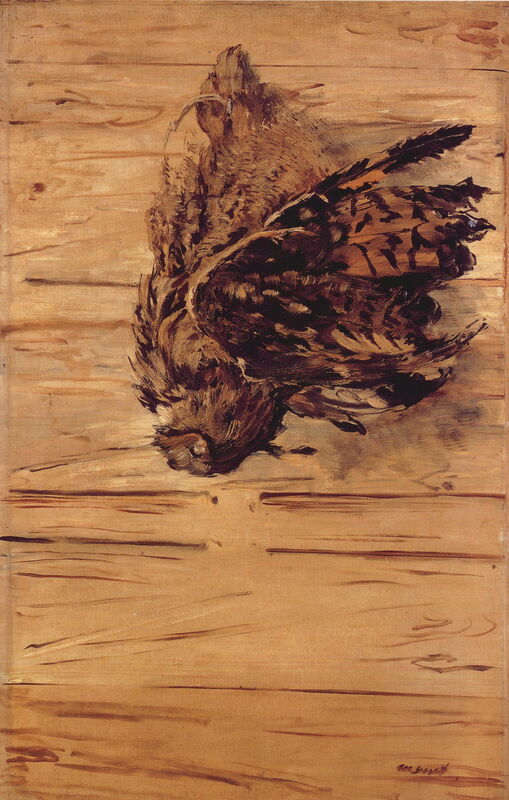 Édouard Manet (1832–1883), Dead Eagle Owl (1881), oil on canvas, 97 × 64 cm, Private collection. Wikimedia Commons. They also found themselves prey to the hunter, and an unfortunate number appear as nature morte, as in Édouard Manet’s Dead Eagle Owl (1881), painted when he was convalescing from a serious bout of illness. Apart from appearing as themselves, owls are a not uncommon painterly device for indicating the time of day, or rather night. Several species of owl seen in Europe are active in the daytime too, but their strong association with nocturnal flight and hunting predominates. 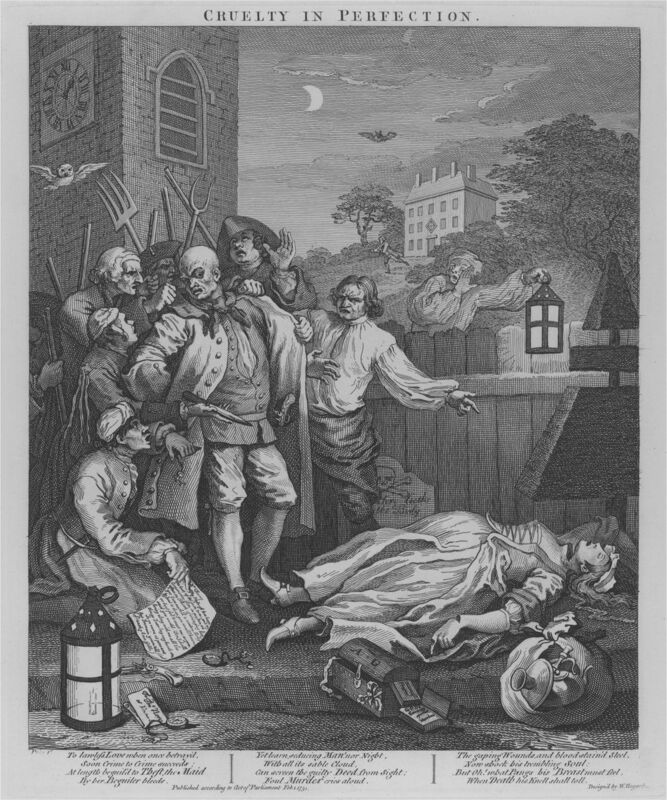 William Hogarth employs an owl, together with bats and other symbols of night, in his print The Third Stage of Cruelty: Cruelty in Perfection – The Murder (1751). Just in case its purpose is not crystal clear, he shows the owl close to the face on the church clock. William-Adolphe Bouguereau (1825–1905), Night (1883), oil on canvas, 208.3 × 107.3 cm, Hillwood Museum, Washington, DC. Wikimedia Commons. William-Adolphe Bouguereau flies his owls in support of a personification of the mythical Night (1883), as do others showing similar motifs. Interestingly these owls are invariably shown in dark plumage; there is no role here for the white spectre of the barn owl, for example. Pedro Américo (1843–1905), A Night in the Company of the Genies of Study and Love (1883), oil on canvas, 260 × 195 cm, Museu Nacional de Belas Artes, Rio de Janeiro. By Halley Pacheco de Oliveira, via Wikimedia Commons. The association between owls and knowledge or wisdom has probably spun off from their ties to the goddess Minerva, which I explore in the next article. In Pedro Américo’s A Night in the Company of the Genies of Study and Love (1883) the owls could appear for night, for study, or of course for both. Spatially it would look more likely that they were part of the night symbols, as the genie (putto) bearing the firebrand of study is on the opposite side of the goddess of night. Lucas Cranach the Elder (1472–1553), Portrait of Dr. Johannes Cuspinian (1502), spruce wood, 60.3 × 45.5 cm (23.7 × 17.9 in), Oskar Reinhart Collection ‘Am Römerholz’, Winterthur, Swwitzerland. Wikimedia Commons. As symbols of learning and wisdom, their use is very old, and long predates Bosch. 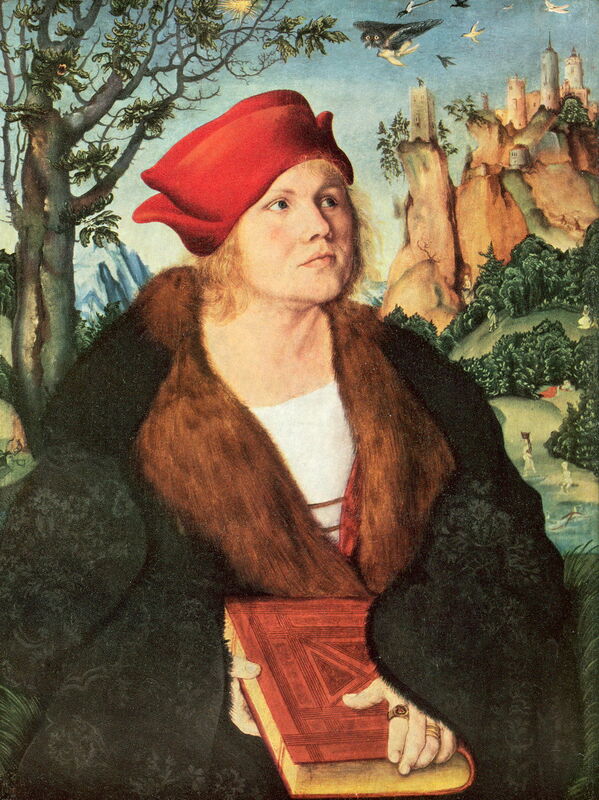 In Lucas Cranach the Elder’s Portrait of Dr. Johannes Cuspinian (1502) the subject’s learning is indicated by the book which he clutches, and by the owl flying at the top right. Lucas Cranach the Elder (1472–1553), Portrait of Dr. Johannes Cuspinian (detail) (1502), spruce wood, 60.3 × 45.5 cm (23.7 × 17.9 in), Oskar Reinhart Collection ‘Am Römerholz’, Winterthur, Swwitzerland. Wikimedia Commons. Closer examination, though, shows that Dr. Johannes Cuspinian’s owl is not as virtuous as it could be: with anthropomorphic limbs, the owl has grasped a passing swift and intends making fuller use of it later. 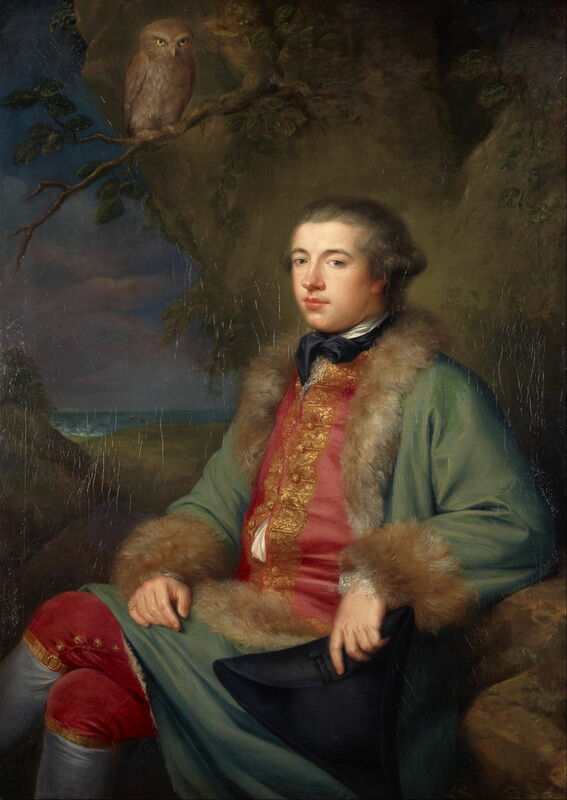 George Willison (1741–1797), James Boswell, 1740-1795. Diarist and biographer of Dr Samuel Johnson (1765), oil on canvas, 135.2 x 96.5 cm, Scottish National Gallery, Edinburgh. Wikimedia Commons. A sagacious owl is used by George Willison to signify the intellect of James Boswell, 1740-1795. Diarist and biographer of Dr Samuel Johnson (1765). Maria Richards Oakey (Maria Oakey Dewing) (1845-1927), The Philosopher’s Corner (1873), oil on canvas, dimensions not known, High Museum of Art, Atlanta, GA. Wikimedia Commons. 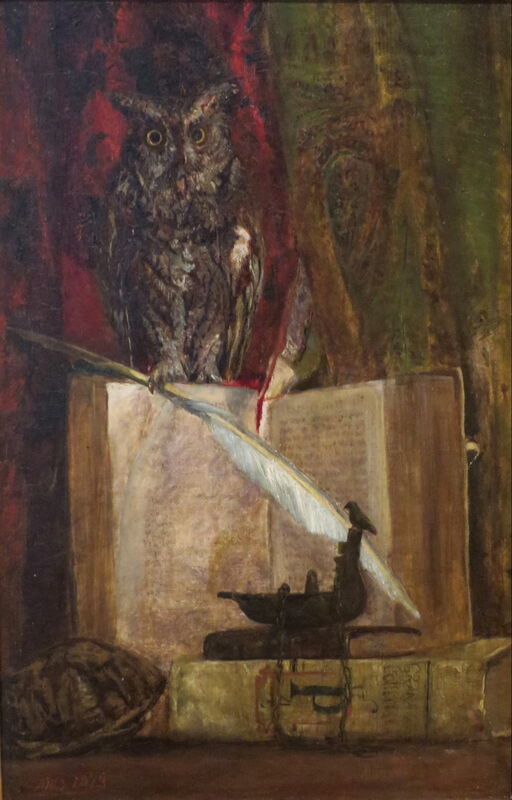 In time the owl and book(s) became something of a visual cliché, as painted by Maria Richards Oakey (Maria Oakey Dewing) in her The Philosopher’s Corner (1873). 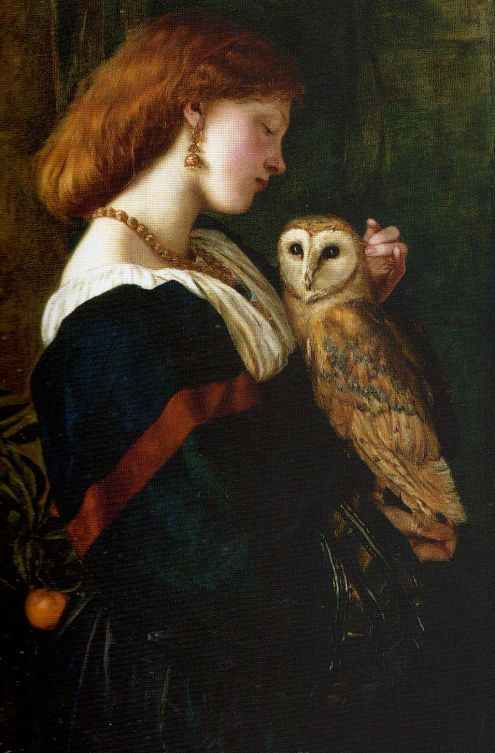 Very occasionally, artists explored closer relationships between humans and owls, as in Valentine Cameron Prinsep’s fascinating double portrait The Owl (before 1863). So these are the simpler and more positive ‘meanings’, of the dark hours, the night itself, wisdom, and learning. Next I will look at the association with Minerva, and the darker side. Posted in General, Painting and tagged Américo, Bosch, Bouguereau, Cranach, d'Hondecoeter, Dürer, Hogarth, Manet, Oakey, owl, painting, Prinsep, Willison. Bookmark the permalink. I have an owl motif in a painting I’m developing. It’s nice to see some history of owls in art. How wonderful! Thank you: you should find the second episode tomorrow is useful too.